That’s what first brought The Chick-fil-A Foundation and Junior Achievement together in 2013—and that’s what continues to drive our partnership today. 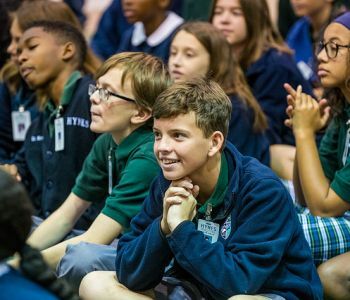 With a mission to inspire and prepare young people to succeed in a global economy, Junior Achievement works with organizations like the Chick-fil-A Foundation to expand youth education and economic development in their communities. Chick-fil-A Operators often sponsor simulated storefronts at their local Junior Achievement facilities across the country. Through realistic exercises, like maintaining a budget and learning to operate a business we are teaching students the financial literacy skills they need to become a valuable part of today’s workforce. Our Operators are working with over 20 Junior Achievement facilities across the country. We do not just do business; we become a vital part of the communities in which we exist. In our hometown, the Chick-fil-A Foundation has built an even deeper partnership with the Junior Achievement programs. Since its opening in Atlanta, Georgia in 2013, the Discovery Center has worked with local businesses to reach 100,000 middle schoolers throughout metro Atlanta. Through programs that teach financial literacy, work readiness and entrepreneurship, students learn real-world skill that set them on the path to achieve their highest potential. 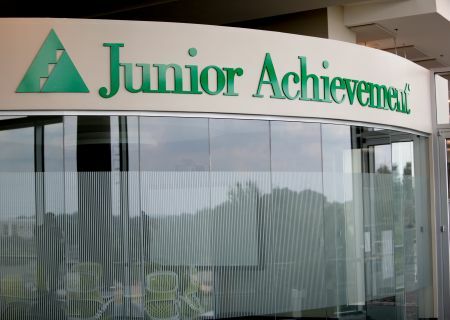 In 2015, Junior Achievement of Georgia introduced 3DE (formerly JA Academy), an immersive school-within-a-school designed to help high school students learn how to practically solve real-life challenges, with some help from the local business community. The Chick-fil-A Foundation is proud to be a corporate partner of 3DE at Banneker High School and to serve as the lead partner of 3DE at Frederick Douglass High School.